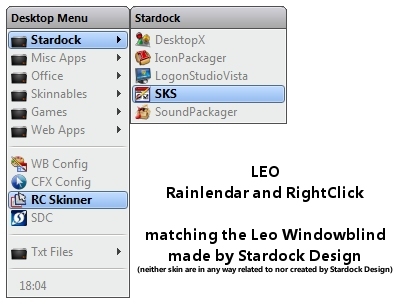 Uploaded with permission from Stardock Design. Matching Rainlendar skin can be found in the Rainlendar library. this really is an excellent rightclick. this one is a pleasure to use. soooooo smoooth. thanks for making this. and for sharing with the population at large. awesome stuff.